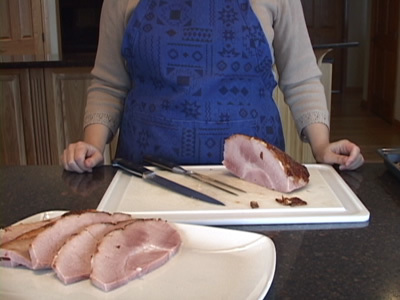 RecipeTips.com's video demonstration, 'How to Carve a Ham,' is an easy-to-follow guide for carving a ham. Hi! 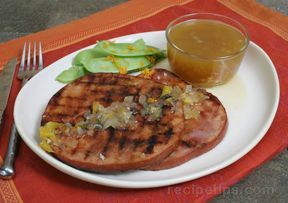 This is Laurie from RecipeTips.com, and today I am going to show you how to carve a ham. 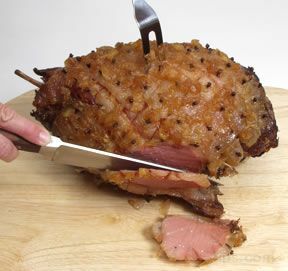 After the ham has rested, you can begin carving your ham. 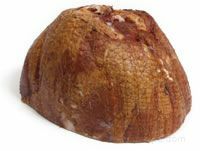 Start with this cut side facing up, and you can see that the ham is divided into three sections, divided by the major muscles. 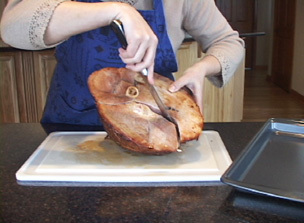 To begin with, we are just going to follow the large muscle section through the ham. 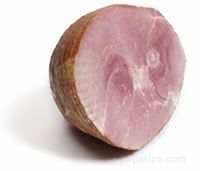 Begin by slicing all the way through from the top all the way through the ham. If you have not cut all the way through, you may have to go back through a second time. 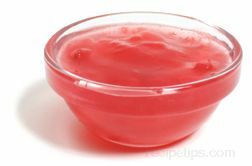 The next cut you want to make is to follow this muscle line around the bone. 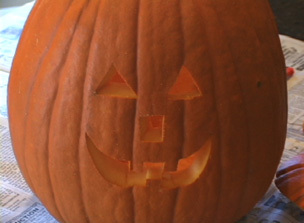 The last part you want to do is slice the bone from the last muscle. 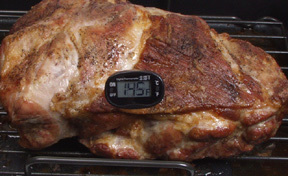 Just try to follow your knife around the bone, to remove as much of the meat as you can. 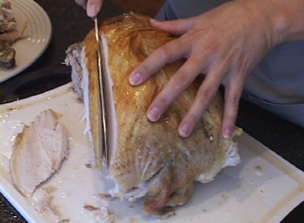 Now, simply slice the sections into serving size pieces. 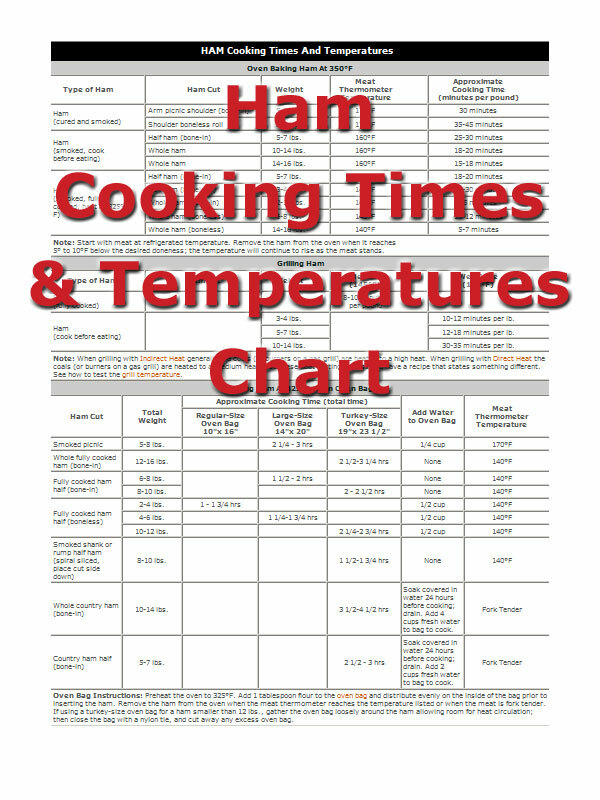 For more information on ham and other cooking tips, go to RecipeTips.com.